Place beef roast in 3 1/2 or 4-quart slow cooker. Sprinkle taco seasoning mix, garlic and brown sugar over beef. Just before serving, place all topping ingredients in individual serving dishes. Remove beef from slow cooker; place on large plate. Shred beef with 2 forks; return to slow cooker and mix well. 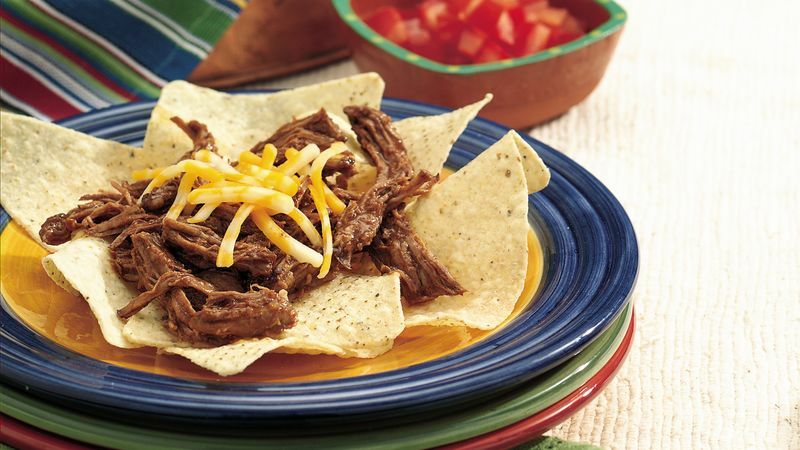 To serve, have guests place chips on serving plates; spoon 1/3 cup beef mixture onto chips. Top nachos with desired toppings. Beef mixture can be held on Low setting for up to 2 hours.